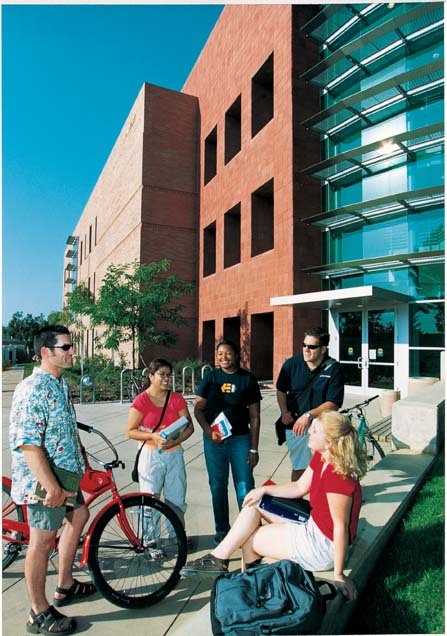 UCR is a wonderful place to obtain your undergraduate business degree. I am a recent grad that was selected for a wonderful job while competing against students from USC, UCLA, UCSB, and many other surrounding colleges. I feel I received and edge because I used all the resources that were available to me at UCR. There are many students however, that will seat around and complain because they want everything handed to them. If you are a hard worker and willing to learn UCR will help you accomplish anything you want. Most of the faculty is wonderful and respectful of students although the customer service around campus needs a major “makeover,” the secretaries in the financial aid office and at the business school are very rude and inconsiderate. The TA’s on campus are either good or bad it seems you never get one in the middle. I had wonderful TA’s that helped me more than any of my professors. I also had TA’s that would never show up for discussion, not keep accurate grade books, speak very poor English or speak about politics the whole entire section. The student body is pretty diverse although mostly made up of Asians. Everyone seems to get along pretty well but not really open to conversation. If you do not belong to some sort of club on campus you’re going to have to go out of your way to meet people because most of the people won’t say hi. The campus surroundings are not bad at all, the school is centrally located to the mountains (Big Bear), the beaches (New Port or Oceanside) and the club seen in LA or Riverside is pretty good. Although most of the times I would just throw house parties and invite everyone over. My overall take on the campus was a good one, the education I received I use everyday at my job. My roommate and I were hired before we graduated from UCR and both received a signing bonus along with a relocation package. The Alumni network is growing and I proud to be apart of the UCR family. If you are motivated to succeed UCR can help. But if you are going to seat around and complain please don’t apply because I would rather you attend somewhere else and write a bad review about another University.